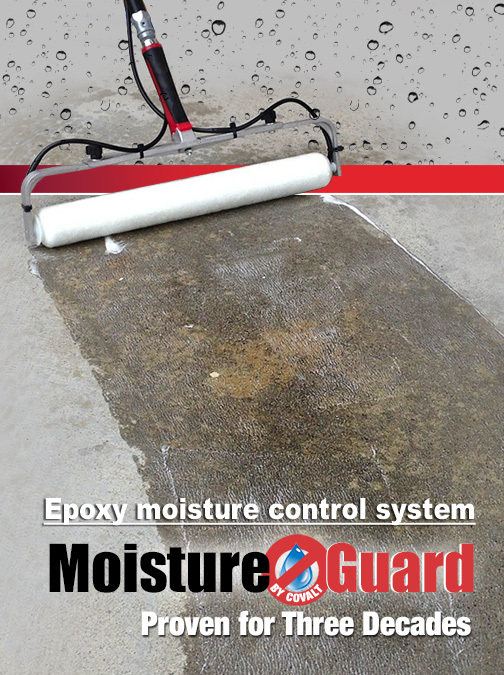 Epoxy-Based Concrete Moisture Mitigation products that are cost-effective, ecologically sound and proven to work! Covalt’s floors Moisture Barrier and Crack Suppressant! SCHOOLS • HOSPITALS • OFFICE BUILDINGS • MANUFACTURING FACILITIES, etc, where the moisture problems existed. NEW CONSTRUCTION: Moisture Guard should be specified in new construction projects to prevent problems later, when facilities disruption would be less practical. 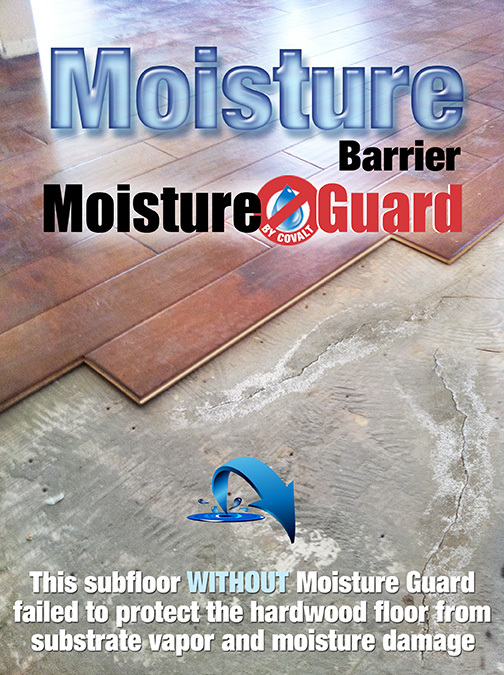 Moisture Guard is a two component, penetrating epoxy coating designed to bring moisture emission rates to acceptable levels for the flooring being installed. System combats flooring failures microbiological activity (mold and mildew) and other problems associated with excess moisture in the slab. Applied system prevents buckling, delamination and failures in all types of costly flooring coverings, including vinyl, hardwood or carpets, and reduces or eliminates harmful vapor moisture transmission through any concrete foundation slabs & floors. Avoid costly flooring failures due to moisture problems and improper subfloor preparation! Do you need to have your concrete foundation flooring sealed? 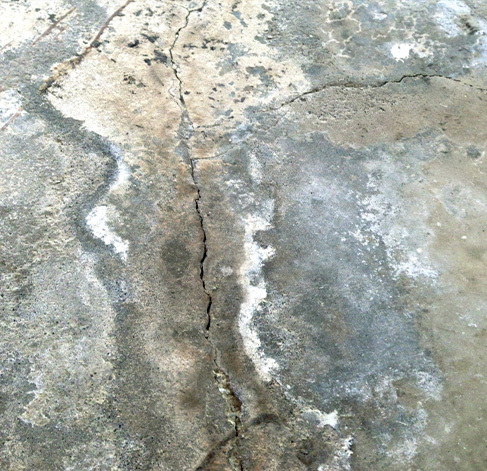 Concrete foundation slabs can be waterproofed in several ways. One common way that companies waterproof a concrete house foundation is to apply a liquid waterproofing barrier membrane to the concrete. The liquid may be applied using a liquid spray, a roller, or even a trowel. Liquid membrane cures into a thick, rubbery coating on the concrete which helps protect the floor above it from water damage. Another common waterproofing product used on cement foundations are vapor barrier products. These products are mixed together and applied with brushes to the cement foundation, where they harden and protect the area from water damage. 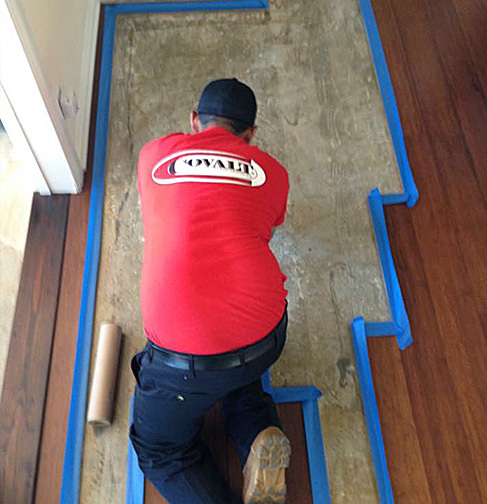 Moisture Guard by Covalt, Orange County provides vapor barrier systems to reduce flooring failures. Waterproofing your cement foundation is an essential part of ensuring that your floors and floor coverings are kept safe from moisture damage. A failure to do so can cause damage to your floors, water damage to anything on the floors—such as furniture or other items—and potentially cost you thousands of dollars. 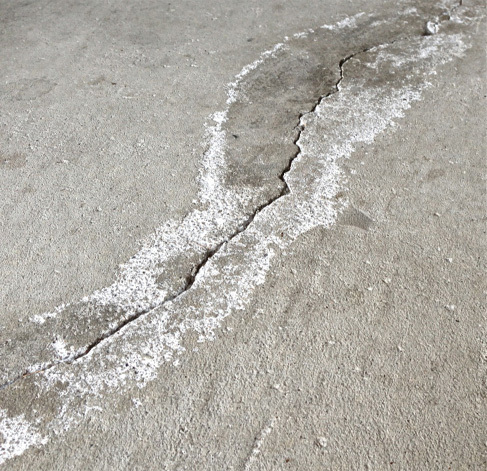 Take the preventative step and waterproof your cement foundation before you run into trouble. We offer no cost project inspection and written reports for your waterproofing & concrete floor repair projects. For more information or project inspection contact us at (949) 496-3528 or fill out our quick form.